Once you have landed at Hosea Kutako International Airport you will be met by one of our representatives and assisted with the collection of your rental car. You will the drive to your accommodation located on a game farm outside of Windhoek. 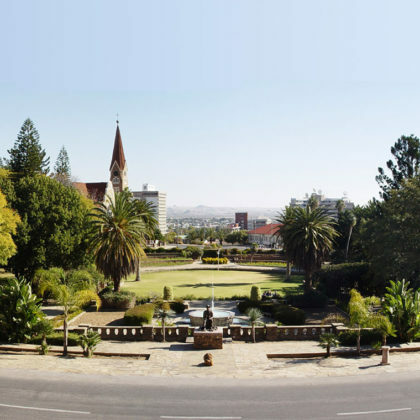 Today you can spend exploring all the attractions of Windhoek such as the Christuskirche and Heroe’s acre. Speak to your consultant about adding a tour of the city’s highlights to your itinerary. Alternatively, you can relax and enjoy the tranquil surrounds of the game reserve. 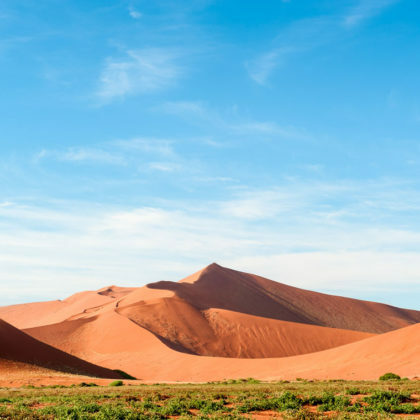 Today you will drive to Sossusvlei in the Namib Naukluft National Park which is famous for its red coloured sand dunes which are among the most photographed in the world. 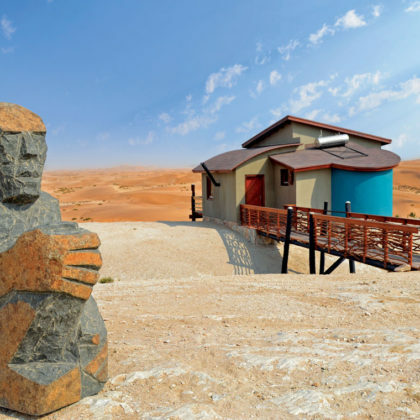 The journey will take you through the arid landscapes of the Namib Desert – the oldest desert on Earth. Once you arrive you can relax on the terrace and enjoy a refreshing drink while watching herds of oryx and springbok wander past on their way to the nearby waterhole. We suggest you get up really early this morning in order to enter Sossousvlei before day break as the best photographs of the dunes are taken as the sun rises where the colour is at its most intense and there are fantastic contrasts. You can also take a walk to the skeletal trees of Dead Vlei. You can return to the lodge during the heat of the day. Speak to your consultant about adding a quad biking tour in the dunes or a hot air balloon drive over the desert to your itinerary. 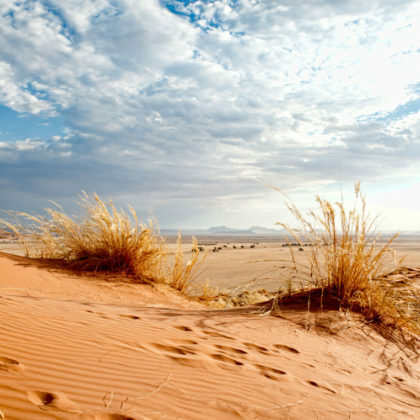 Leaving Sossusvlei behind you will travel to the town of Swakopmund which is known as Namibia’s adventure destination with activities such as sand boarding on offer. 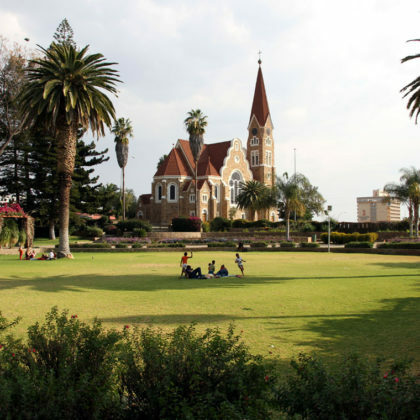 The town is also known for its German colonial inspired architecture. 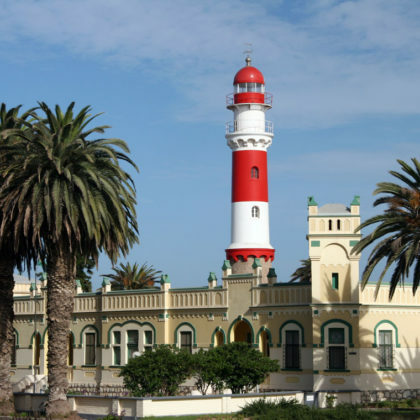 Spend the day exploring the town of Swakopmund. 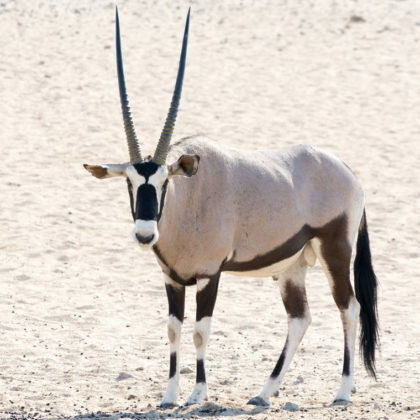 You can also ask your consultant to include the Living Desert Excursion to this day where you will head into the dunes with a knowledgeable local guide who will help you track down the creatures that call the desert home. You could also go on a trip to see the unusual Welweitchia plants and the region referred to as the landscape of the moon. 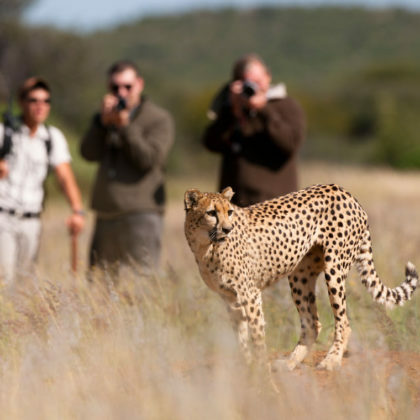 Continuing your trip northwards you will travel to Okonjima where the AfriCat Foundation are based which work for the conservation of Cheetahs, leopards and lions. In the afternoon you can go cheetah tracking on foot or follow the Bushmen Trail which is a great opportunity to enjoy some birding. 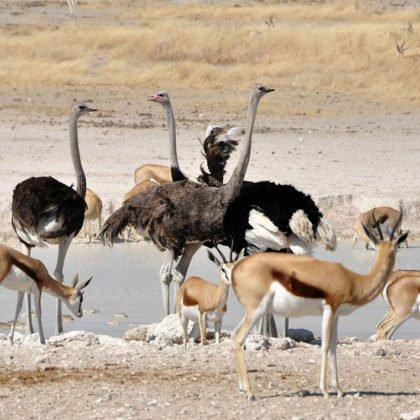 Today you will drive to the Etosha National Park which is known for the variety of animals which gather at its waterholes. Once you have checked in you can relax at the viewing hide overlooking the waterhole and see giraffe, zebra, lion and many other species which come down to drink. 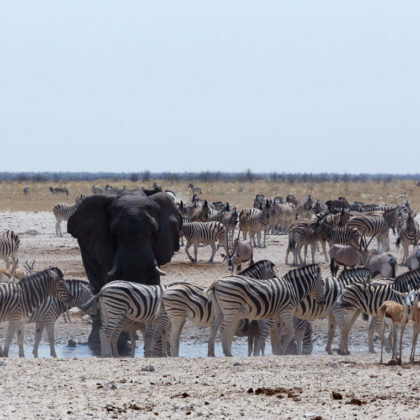 Spend the day in Etosha National Park. You can choose to stay in one spot overlooking a waterhole, but your sightings are sure to be improved if you take a self guided game drive out into the Park. You can also book guided morning and evening game drives with the park authorities in camp. You will drive through the Etosha National Park today to Namutoni Resort which was a colonial fortress and its high walls and towers offer excellent game viewing of the surrounding area. The journey can take the form of an extended self-guided game drive. Speak to your consultant about adding a guided night drive on this day to see some of the nocturnally active creatures of Etosha. 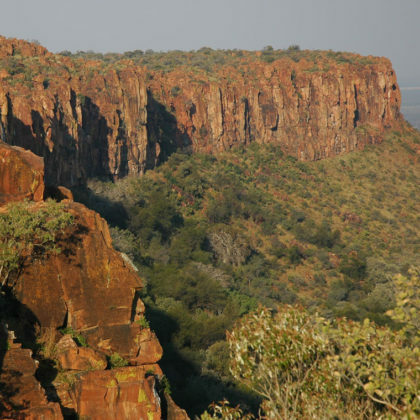 Heading East today you will travel to the Waterberg Plateau which towers 200m above the surrounding area. This region has a lot more vegetation and many interesting rock formations. It is a refuge for black and white rhino and rare sable and roan antelope. In the late afternoon you can explore the region and stretch your legs while following some of the self-guided walking trails. Today you will cross the border into Botswana. You will need to depart early as you have an 8 hour drive to Maun and will have to complete the border formalities. Your journey will take you through the ever changing colours of the Kalahari Desert. Arrival in the Okavango will be in the early evening. 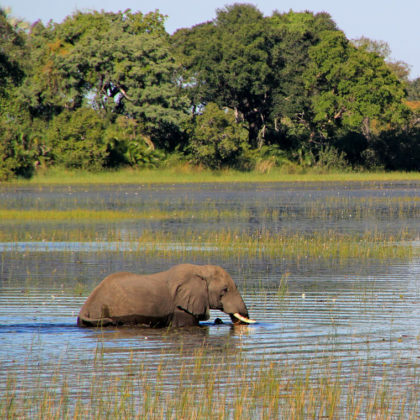 Maun is the gateway to the Okavango Delta and you will spend the next couple of days exploring this oasis in the heart of the desert. You will leave your car in secure parking and will take a boat ride through the winding channels of the Okavango Delta to your lodge in the heart of this lush oasis in the Kalahari Desert. Today you will spend exploring this wetland paradise. 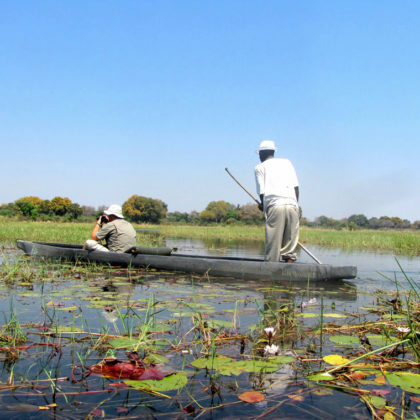 You will go on boat ride in a traditional Makoro canoe which allows you to slip effortlessly through the reeds past jewel like small frogs and beautiful water lilies. 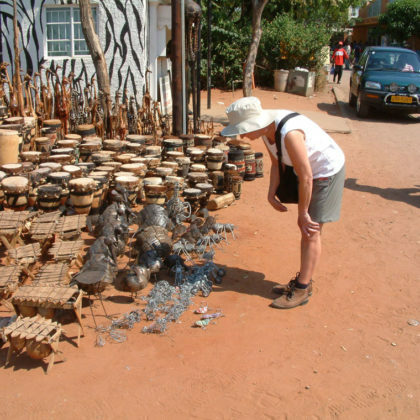 You will also go get to explore the scenic palm and fig islands while on a guided bush walk. Travelling back to Sepupa today you will collect your vehicle and travel through the Mopani Forests and Kalahari sands of the Moremi Game Reserve to the Chobe National Park. Along the way you may see kudu and sable antelope as well as elephants. 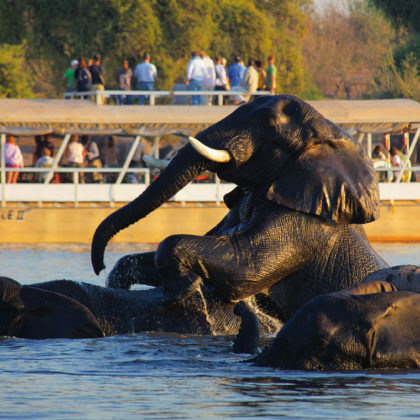 Once you have arrived and settled in you can go on a relaxing sunset cruise on the Chobe River. 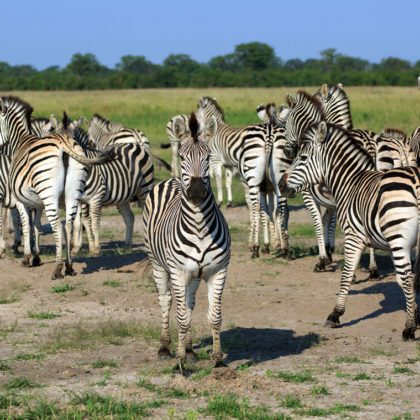 This morning you will go on a guided game drive in the Chobe National Park. Led by an experienced local guide you will search for prides of lions, the endangered African wild dogs as well as large herds of buffalo and zebra among many other species of wildlife. 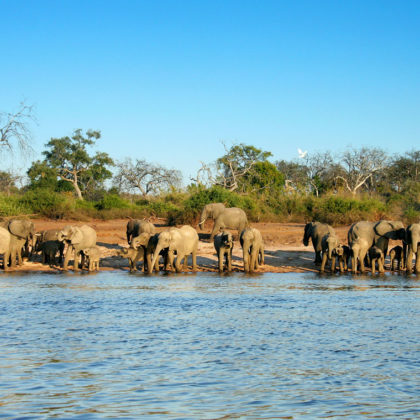 Today you will once more explore the magnificent wildlife of the Chobe National Park while on a morning game drive and afternoon boat cruise. Today you will leave Botswana behind and will travel to Zimbabwe and the town of Victoria Falls. The route takes you through game reserves so keep a look out for wildlife along the way. 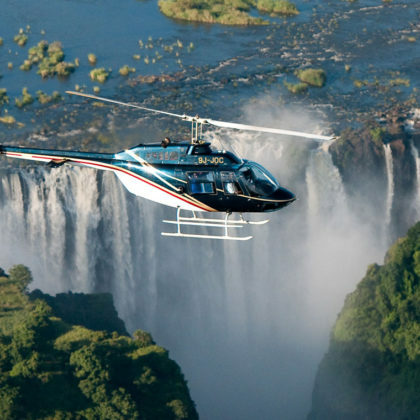 Spend the day exploring all the attractions of the Victoria Falls such as the rainforest and views of Victoria Falls, one of the Seven Natural Wonders of the World. If you feel daring speak to your consultant about adding the bungee jumping or the gorge swing to your itinerary. This is the last morning of your Namibia, Botswana and Zimbabwe holiday and after breakfast; you will drop off your rental car at the airport and catch your flight back home.